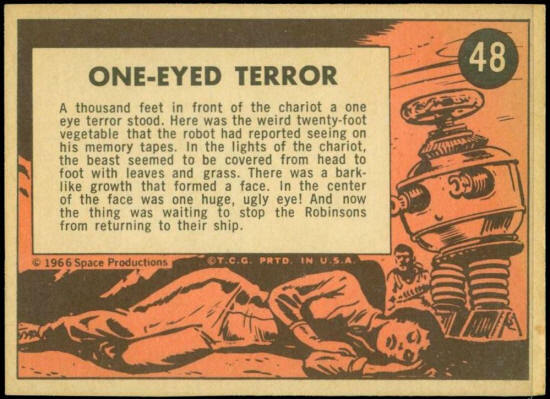 A thousand feet in front of the chariot a one eye terror stood. Here was the weird twenty-foot vegetable that the robot had reported seeing on his memory tapes. In the lights of the chariot, the beast seemed to be covered from head to foot with leaves and grass. There was a bark-like growth that formed a face. 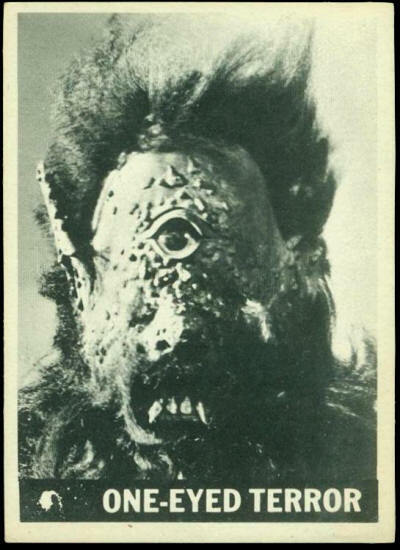 In the center of the face was one huge, ugly eye! And now the thing was waiting to stop the Robinsons from returning to their ship.